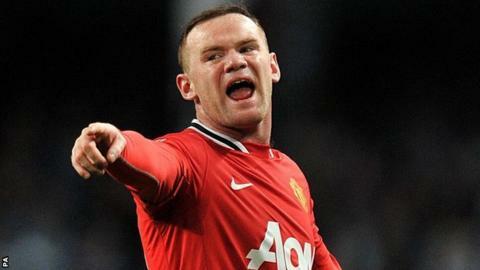 Manchester United have rejected an improved offer from Chelsea for England striker Wayne Rooney. The bid, made late on Sunday, was £25m plus add-ons but United maintain the 27-year-old is not for sale. Rooney, who remains intent on leaving United, has been left out of their squad for Tuesday's pre-season friendly in Stockholm with a shoulder injury. It is understood the striker picked up the knock during a behind-closed-doors match against Real Betis on Saturday. Chelsea had an initial bid for Rooney, of about £20m, turned down by United in July and have again been knocked back, despite upping their offer. United manager David Moyes has continually stressed that Rooney will stay with the Premier League champions but Chelsea manager Jose Mourinho remains determined to bring him to Stamford Bridge. Rooney has been left angered and confused by recent messages coming out of Old Trafford, most noticeably the suggestion from Moyes that Robin van Persie is the preferred option up front. The situation could come to a head later this week with Rooney giving serious thought to handing in a transfer request in order to force a move away from Old Trafford. In October 2010, Rooney said he wanted to leave the club because of concerns over the strength of their squad, but signed a new five-year contract just days later. He flew home from Thailand in July with a hamstring injury and has not played for the club since a substitute appearance in the 1-0 defeat by Chelsea on 5 May.